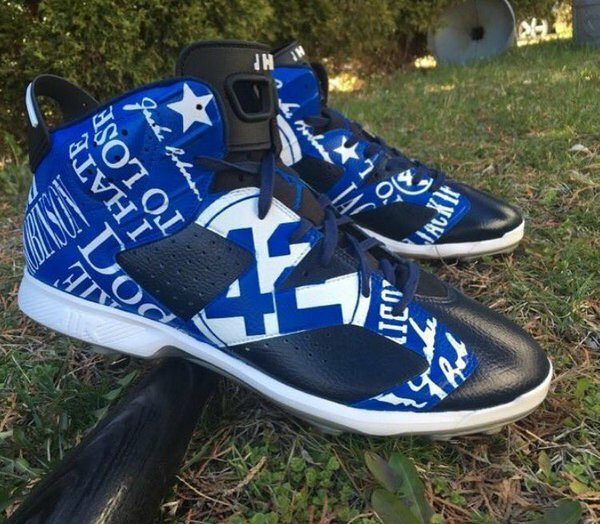 Above is just some of the gear worn by players during yesterday's Jackie Robinson Day Baseball games. 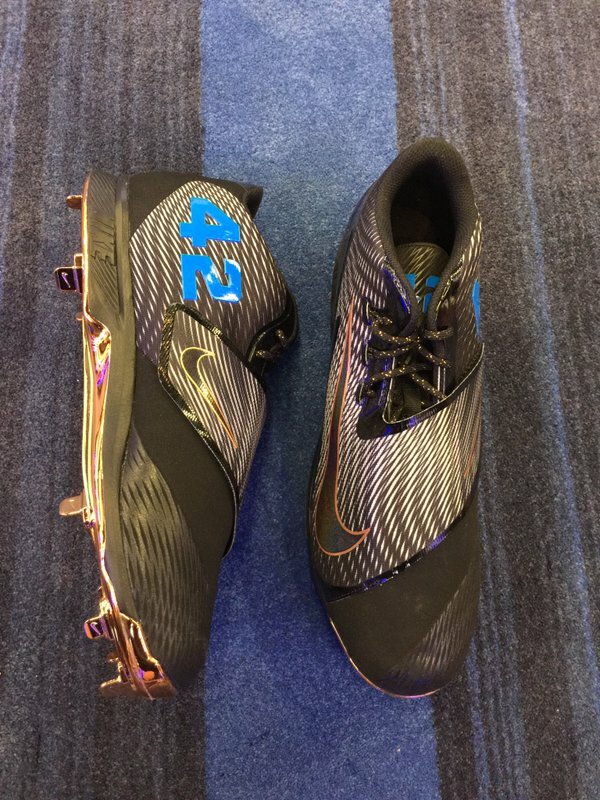 At top left is Jason Heyward's Nike's (Link Here). 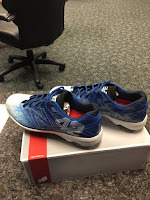 To its right is Curtis Granderson's New Balance shoes (Link Here). 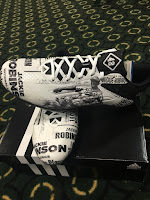 Below left is the Justin Upton's Addidas (Link Here). 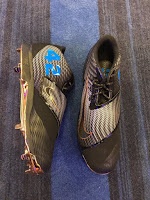 To its right is the shoes worn by CC Sabathia (Link Here). 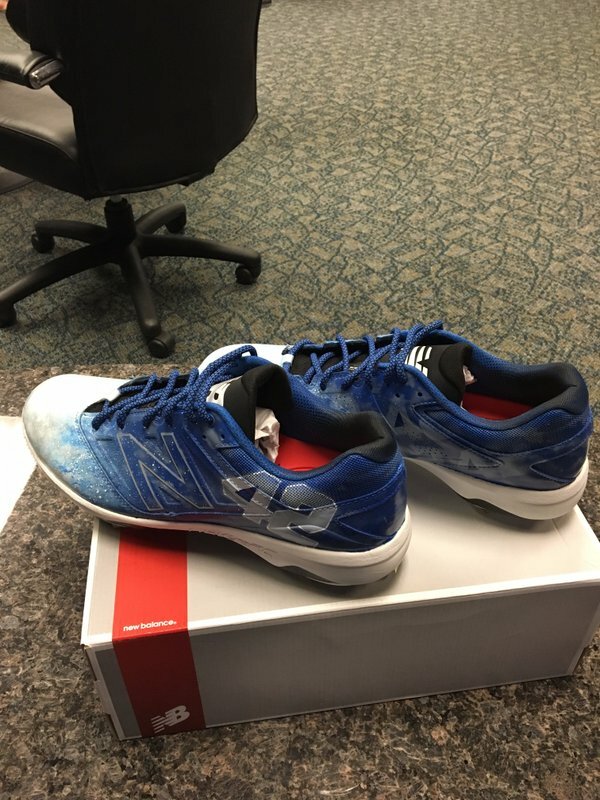 ICYMI: Chris Hatcher is back from paternity leave, so he has been reinstated to the roster. As a result, Austin Barnes has been optioned to Triple-A Oklahoma City. Hatcher and his wife, Jenny, had their first child, baby boy Jensen Thomas, Thursday afternoon. 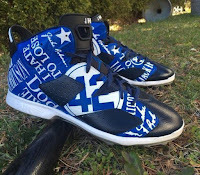 Via David Hood at True Blue LA, "Chris Anderson's early season struggles a real concern." Anderson's velocity was also off the pace from last season. His fastball hovered around 91 mph for much of the evening and did not show the plus sink he flashed last season. He was able to generate a few swings and misses when Hooks batters chased his slider out of the strike zone, but the pitch had slurve shape and was hit hard when it caught the zone. 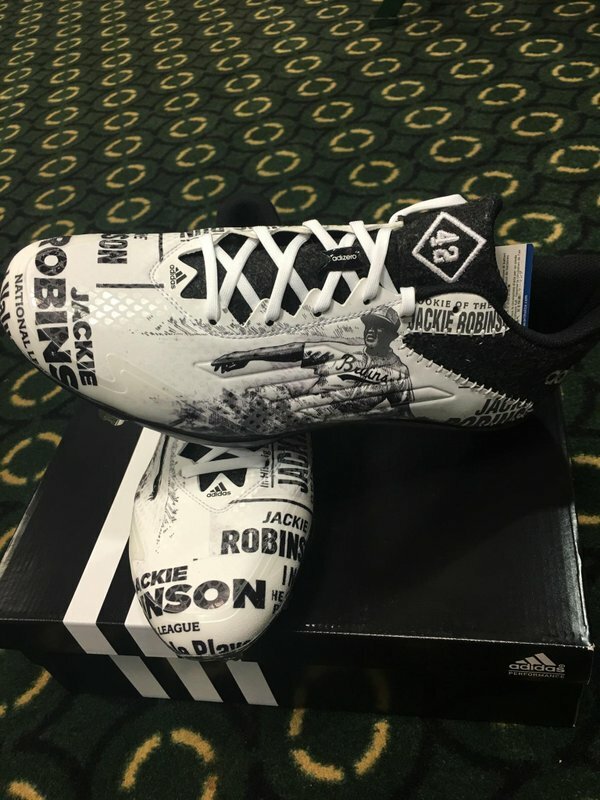 Via Sharon Robinson at Huffington Post, "Breaking Barriers By Honoring the Legacy of My Father, Jackie Robinson." Via Ken Gurnick at MLB.com, "Sharon Robinson joins Dodgers at Play Ball event." 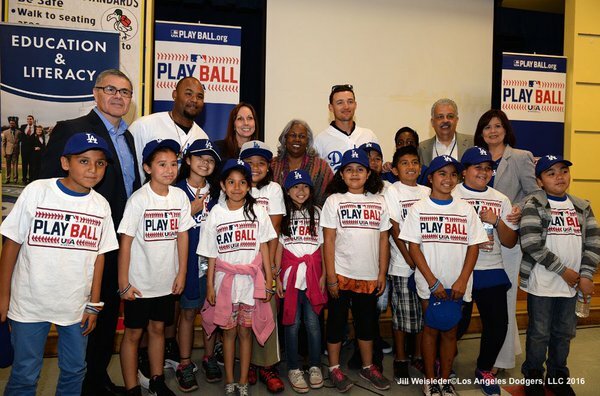 "This is all about having fun," said Robinson, MLB's Educational Consultant. "We are at a school, reminding kids that education is the priority. But we're having fun, teaching basic skills, on a day when we are paying tribute to my father and the achievements of the past as we continue to contribute to his legacy." Awesome! Fuji takes a look at several Jackie Robinson Baseball cards featuring an action photo and and tells about what's going on. Via Fuji at The Chronicles of Fuji, "Every Picture Has A Story." Via Tyler Maun at MiLB.com, "Dodgers' Holmes learns change is good - Having an off night with fastball, righty excels with secondary stuff." "My sinker, you could call it a fastball, but it's a little bit slower," Holmes said. "Having learned that sinker over the past couple of years, when my command is a little off, that sinker comes in really handy. "My off-speed was pretty good tonight, changeup and slider. When I got in a couple little jams, I was thinking, 'You've got to roll a double play here. Throw it low in the zone and get two outs.' It paid off pretty good."